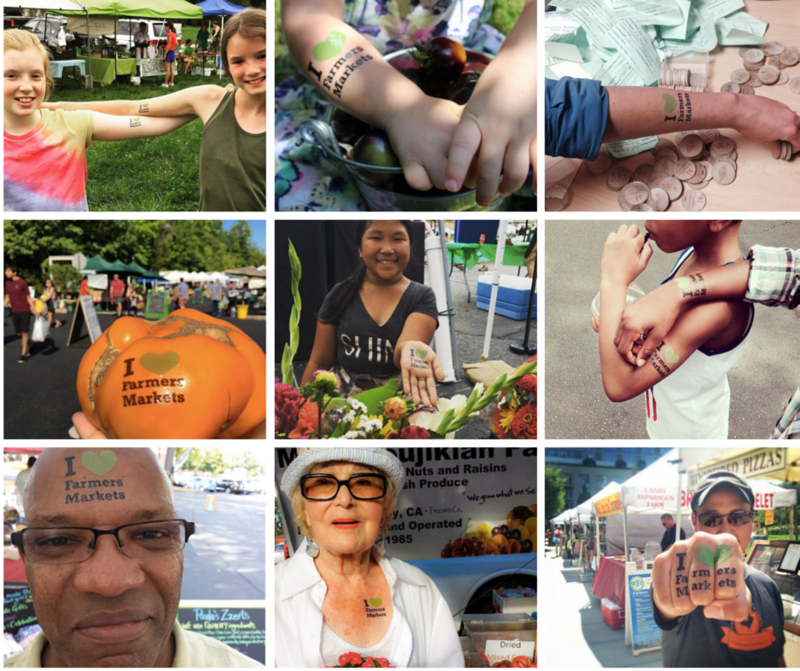 Why do you love your farmers market? Shout it from the rooftops (and social media!) 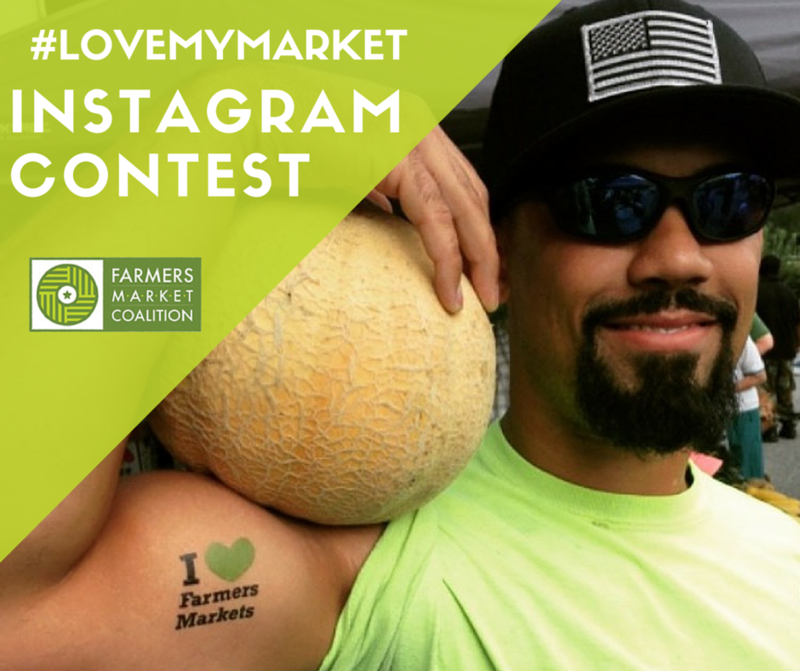 and enter FMC’s #LoveMyMarket Instagram Contest! 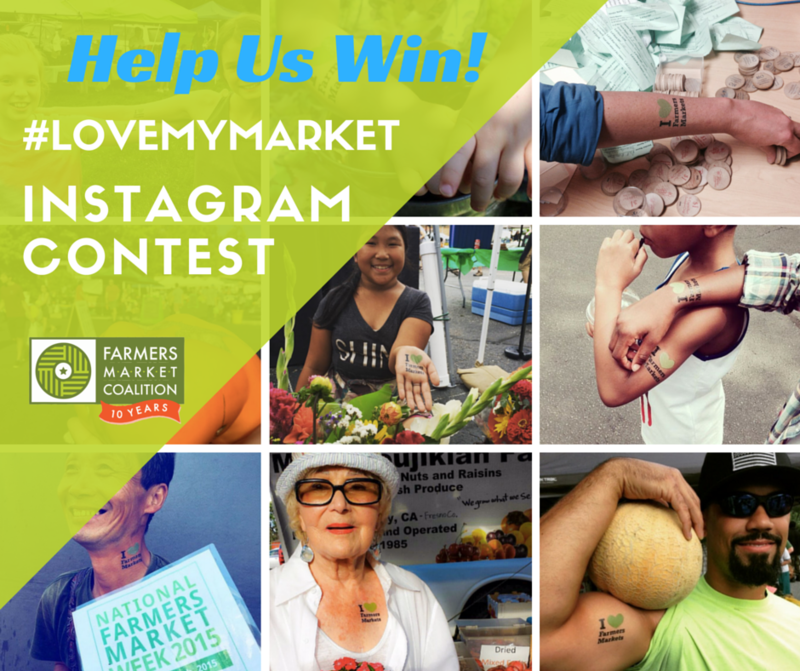 We’re challenging market fans to get creative and show their love by posting photos to Instagram incorporating our “I Heart Farmers Markets” temporary tattoos. 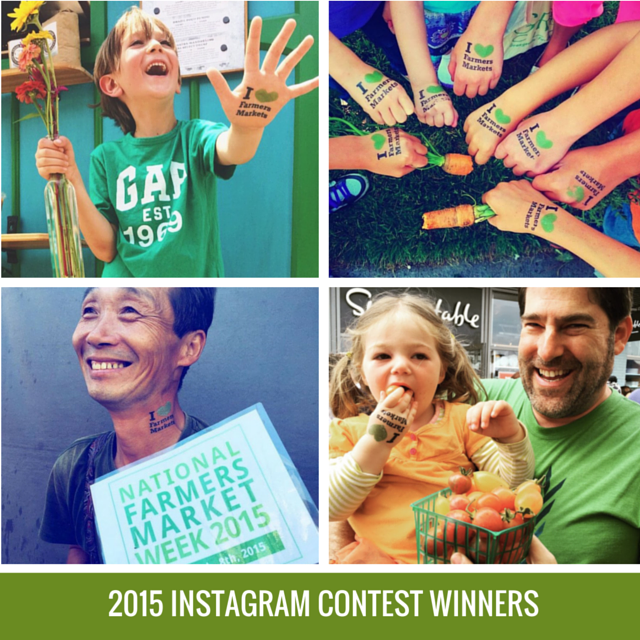 Fun prizes (and bragging rights) will be awarded to both the market AND photographer of the winning photos. Winners will be announced by September 16, 2016. Why should my market promote the contest? The contest provides a fun, easy, and inexpensive way for shoppers and vendors to promote your market through word of mouth, social, and earned media. It’s a great activity to engage your community and drum up extra attention for your market during National Farmers Market Week and through the end of August. How can my market join the contest?